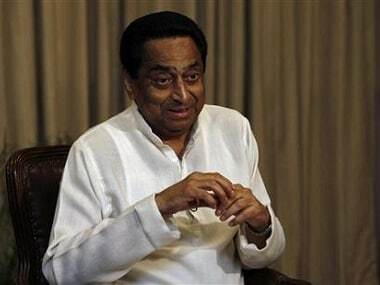 Bhopal: 'Jai Jai Kamal Nath' was the slogan his supporters were chanting when the Congress stalwart, once described by the late Indira Gandhi as her "third son" for helping her take on the post-emergency Morarji Desai-led regime in 1979, reached Bhopal on Thursday night armed with the mandate from the party high-command to become the new chief minister of Madhya Pradesh. This new responsibility has been given to Nath by Indira Gandhi's grandson and Congress president Rahul Gandhi after hectic parleys spread over two days ever since the party managed to secure the numbers to form the government in his vast state after a gap of 15 long years. His supporters credit 72-year-old Nath for steering the Congress win this important central Indian state, where Shivraj Singh Chouhan was the longest-serving chief minister of Madhya Pradesh and at the helm since 2003. But Nath's claim for the top job did not go unchallenged as much younger Scindia, 47, put up a strong challenge and the party president Rahul Gandhi had to finally take the tough call between what he himself described using a quote of Leo Tolstoy that "the two most powerful warriors are patience and time". Eventually, it was the experience that trumped over the need for a change and Nath became the chosen one, keeping in mind the political manoeuvring that may be required in run-up to the Lok Sabha polls next year. Along with Scindia, Nath was tasked with reviving the fortunes of the opposition Congress in Madhya Pradesh, where the party has been out of power since 2003 and had to face a BJP onslaught in the final days of electioneering. During the hectic campaigning for the assembly polls, the BJP had attacked Nath after an audio-video clip went viral in which he was heard asking clerics to ensure 90 percent voting in the state's Muslim-dominated areas to ensure a Congress victory. 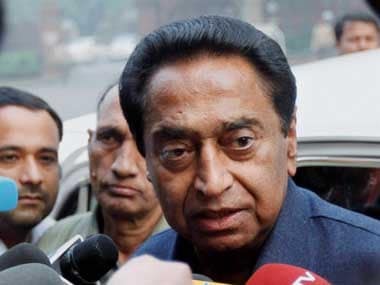 It was a different scene on Thursday night when Nath, a nine-time Lok Sabha MP from Chhindwara, was greeted with Hindu chants of 'Jai Jai Kamal Nath' when he arrived at Bhopal airport and headed state for the Congress Legislative Party meeting that formally selected him as their leader and the next chief ministerial face. People in Chindwara refer to the district as an 'oasis' in the dirt and then there are references like 'keechad mein Kamal' — punning on the BJP's party symbol 'Lotus (Kamal)'. 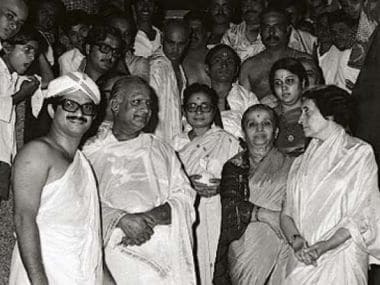 It was in Chhindwara that the former prime minister Indira Gandhi had once introduced Nath, saying, "This is my third son. 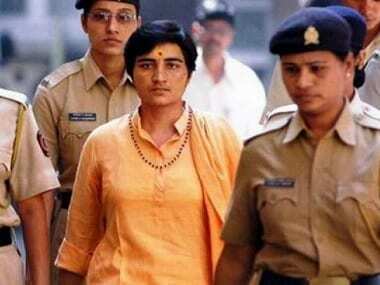 Please vote for him," recalled senior journalist Sunil Shrivastava, who covered that election meeting. 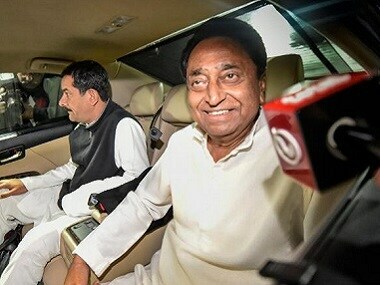 When Nath was chosen by Rahul Gandhi as the state Congress chief in April over Scindia, the Lok Sabha member from Guna and scion of the erstwhile Gwalior dynasty, the MP Congress unit was riddled with factionalism. Though the differences again came into play when it was time to decide on the chief ministerial face, Nath's supporters say he made efforts before elections to bring together senior party leaders —former MP chief minister Digvijaya Singh, Scindia and Suresh Pachouri — well aware that groupism may have had a role in keeping the party out of power for the last 15 years. He ensured that regional satraps got representation in the allotment of tickets, leaders close to Nath said. The Congress also made judicious use of the energetic Scindia to pull voters towards the party by appointing him the state campaign committee chief. After the ticket distribution, the state Congress also roped in Digvijaya Singh to quell dissent in the party. The state Congress was able to withdraw most of its rebels from the election arena, an area in which the BJP did not fare well. As electioneering started, Nath trained his guns on the BJP, knowing that Chouhan's popularity, built over schemes for every section of society, needed to be countered. Under Nath's leadership, the state Congress focused its campaign on "unfulfilled" promises of Chouhan, whom the party dubbed as "ghoshnaveer" (a man of hollow promises), a term that sparked street debates over the fate of schemes announced by Chouhan. As the electioneering gained momentum, the state Congress launched the slogan "Waqt hai badlav ka" (time for change has come) to pull voters towards the party. Born in Kanpur in Uttar Pradesh to businessman father Mahendra Nath and mother Leela, Nath is an alumnus of the prestigious Doon School (at Dehradun in Uttarakhand). He graduated from St Xavier's college, Kolkata, before taking a plunge into politics.